The Scourge, was a satirical magazine which billed itself as "a Monthly Expositor of Imposture and Folly.' 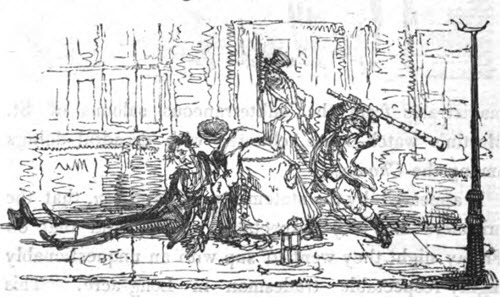 Now almost completely forgotten, the Scourge was part of the flowering of free speech in the British press which occurred during the Victorian era. Publishers and writers pushed the conventions of public decency and attacked various social institutions including the Royal Family. 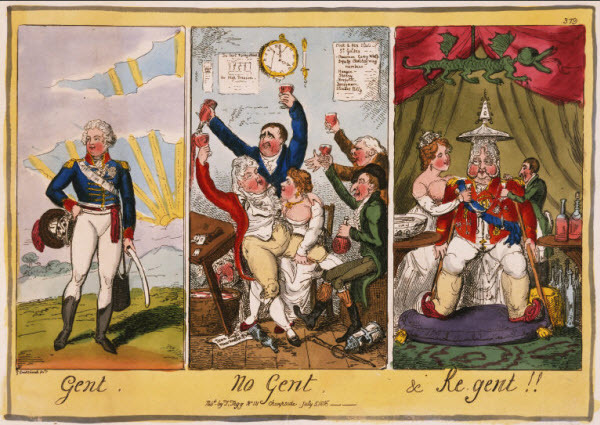 In its brief publication history from 1811 to 1816, the Scourge managed to shock and scandalize the establishment with its caricatures and satires of important figures. It was seen as "scurrilous" at the time. 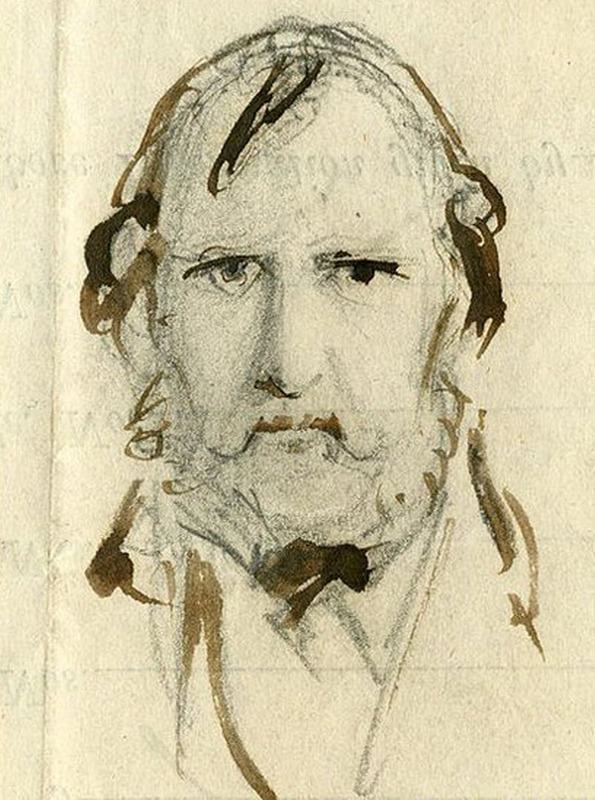 "Jack was a respectable classical scholar, and possessed some literary ability; but, instead of devoting his talents to any useful purpose, he prostituted them to the lowest ends. Drink, drink, drink! became his besetment and from the day it did so his ignoble fate was sealed." 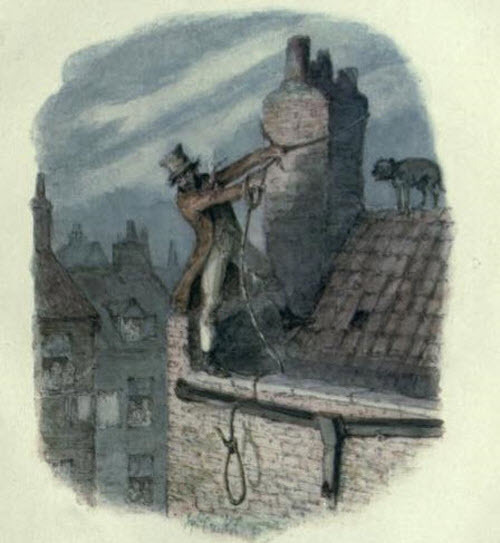 Mitford's short lived magazine is connected with George Cruikshank in that this was one of the first magazines to publish Cruikshank's caricatures. 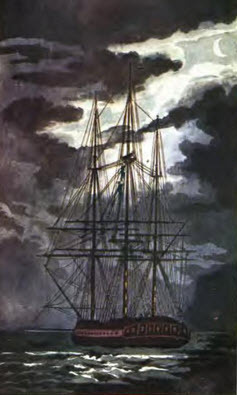 However, to the extent that Mitford is remembered at all it is not for the Scourge, but for a forgettable poem called “The adventures of Johnny Newcome in the navy,” a poem in four cantos, illustrated by Thomas Rowlandson. Johny Newcome was a generic term for all new recruits in the Royal Navy. It is said that the author wrote his poetic masterpiece while living as a vagabond in a gravel pit, his publisher giving him a little bit of money so that he could buy bread and cheese while he wrote it.